It’s a known fact that when central banks print more of their paper money, it’s usually bullish for the yellow metal. We saw this after 2009, when the Federal Reserve started to print more paper money; gold bullion prices skyrocketed. 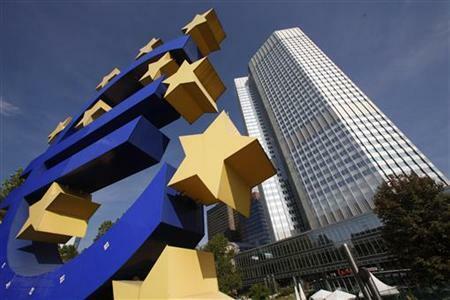 To help countries like Italy, Greece, Spain, and Portugal with their economic woes, the European Central Bank (ECB) has lowered its benchmark interest rate—but that hasn’t spurred bank lending as bad debts on the books of major euro-zone banks keep piling up. Even once-strong euro-zone countries like France are under economic scrutiny. Now, as no surprise, the ECB has started talk about following the same route the Federal Reserve has taken—printing paper money. Hence, to the printing presses of the Federal Reserve, the Central Bank of Japan and other world central banks that are printing more of their paper money, we may have the ECB joining the paper money printing party. Since the beginning of 2014, the price of gold bullion has gone up. The exact score card: Gold bullion has risen 7.6% since the beginning of the year, while the Dow Jones Industrial Average has fallen 3.5%. If the ECB starts printing paper money, I believe we will see gold bullion prices spike. As I have been writing for months, the recent pullback in gold bullion prices has presented investors with an opportunity to buy more gold-related investments at depressed prices. I’m predicting that in the months and years ahead, gold at $1,400 or $1,500 an ounce will be looked back on as a bargain. Don’t wait more time, start Buying Gold 1 Gram at a time.